Want it by Wednesday 24th April? Order within 2 days, 21 hours, 32 minutes and choose Next Working Day - Kerbside Delivery (Order Must be Placed by 2pm) at checkout. 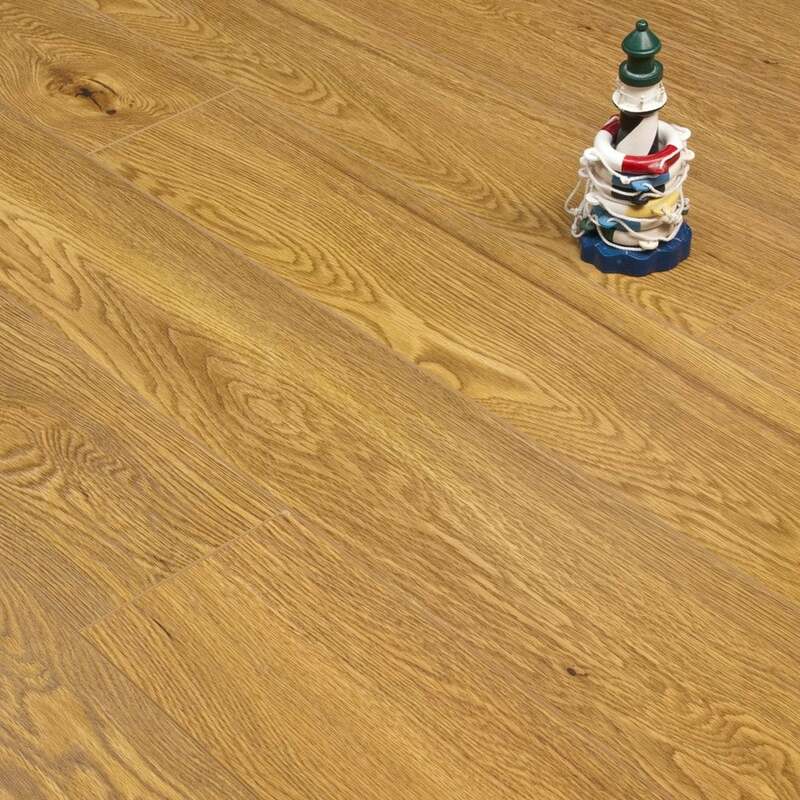 The Emperor Golden Oak 166mm is a 12mm thick impact, scratch and fade resistant laminate floor. Each plank is milled with a four sided ‘v-groove’ which elegantly defines each plank across the length of the floor. With its natural oak contemporary wood décors, this is sure to be a hit with everyone. Each plank measures 166mm in width by 1215mm in length, and there are 6 boards in each pack, containing a total of 1.21m2. Installing a new floor has never been so easy and with samples only a postage stamp away - A new floor could be in your home very shortly! This product is also available in a 129mm wide board. Very pleased and actually better than photo. Brilliant 12mm product. The colour is warm and it would be hard to tell that it wasn't real wood. looks realistic. One of my friends thought it was real wood!